Wounded by a Japanese bullet as she led nearly a hundred refugee children to safety over the mountains of China Gladys Aylward's story is larger than life. It has become immortalised through the film The Inn of the sixth Happiness, starring Ingrid Bergman. This tiny uncompromising woman, born in 1902 in the East End of London, and who by the age of thirty two had travelled no further than Bristol, believed she was called by God to the far off land of China. Undeterred by criticism and contrary advice she set off alone and trusted in God to supply all her needs. When she died in 1970 she was a Chinese citizen, and had been the means of help and hope to thousands of children and women. Her story is retold in this new biography incorporating original material and digging beneath the surface into some of the controversies that surrounded her life and work. The result is an inspiring record of human bravery and God's sustaining power against all the odds. Chinese Whispers by Carol Purves was published by Day One in April 2004 and is our 4402nd best seller. 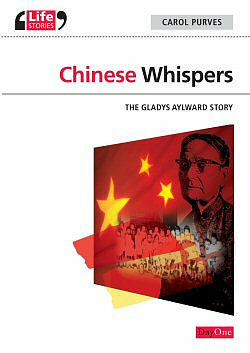 The ISBN for Chinese Whispers is 9781903087572. Be the first to review Chinese Whispers! Got a question? No problem! Just click here to ask us about Chinese Whispers.